The main reason we wanted to go to Poland, I suppose, was because it’s in Europe. My wife, Dani, and I love Europe. We love European history and culture, so anywhere in Europe is great. 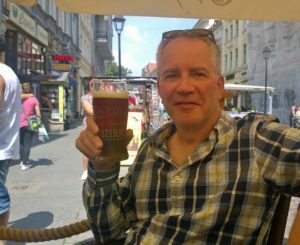 I found myself regularly and meaningfully interacting with Poland’s incredible history. 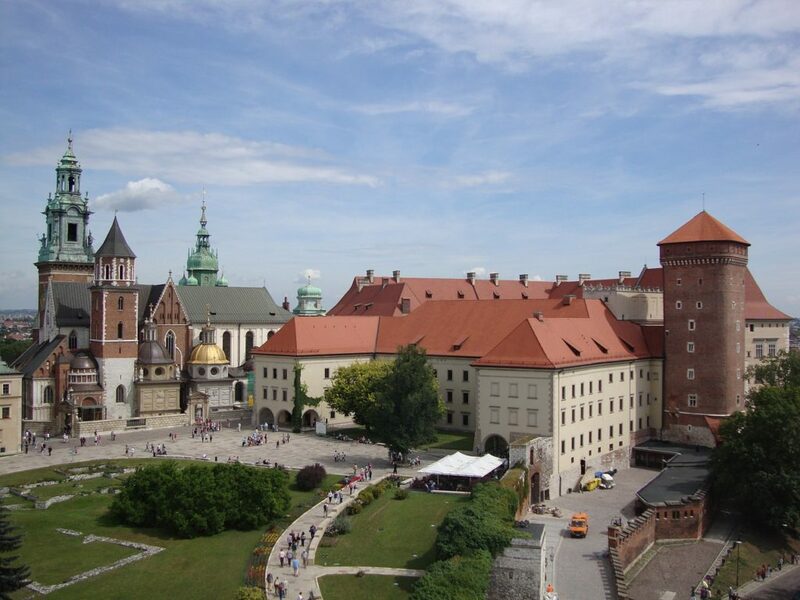 Recalling the Tartar invasions of the 13th century, every hour on the hour we heard a trumpeter in Krakow playing the Hejnal, or Hymn to our Lady, out of the tower windows of St. Mary Basilica. Tradition has it that when the Tartars appeared on the horizon, a trumpeter sounded a warning which saved the city. After the battle, the trumpeter was found slain by an enemy arrow. This is why, at each sounding of the Henjal, the song is interrupted mid-note, commemorating the sudden death of the trumpeter. It was awesome to even hear the trumpeter clearly through the open windows of our room just off the square (Tango House). We also stayed at in the renovated stables, converted to a charming hotel, of 16th century Palac Stuga. On our personal tour of the old palace we saw the original circular wooden staircases and wall decorations, and also Renaissance additions. The palace itself suffered from Nazi and Soviet degradations, but with government grants, the proprietor hopes to restore Palac Struga to its former glory. 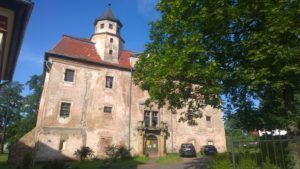 One evening, I took a four kilometer hike through fields and forest to the ruins of the much older Cisy Castle. We also took a look at Książ Castle, which, they say, Adolf Hitler planned to make one of his residences. It is an understatement to say that Hitler and the Nazis were a significant part of Polish history. It was probably in Poland that Nazi atrocities were the greatest. The murder of Polish Jews was essentially accomplished and the enslavement of the Polish people was well underway. 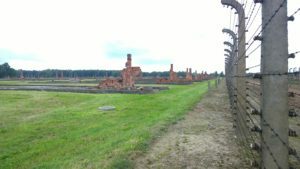 Visiting Birkenau you walk among the physical remnants of an ideology that came dangerously close to conquering Europe, or more. We walked along the railroad tracks, and through the large area where people were sorted–live or die–and down the road which led to the crematoriums. We’d been to Dachau, but the scale of Auschwitz-Birkenau is overwhelming. Although very little of the Warsaw Ghetto wall exists, for me, the idea of the Ghetto dominated our visit to Warsaw. What shocked me was the size of the thing. The northern point of the ghetto was the train yard where, in the summer of 1942, 250,000 Jews were loaded for the 75k trip to Treblinka. From this point you can see the very tall Palace of Culture and Science, which stands at the most southern point of the Ghetto’s former boundaries–it’s a long way down there! Some neighbourhoods in this area are 15 feet higher than the streets around them. This is because they are build on top of the rubble of the Ghetto. We went to several museums including the Warsaw Uprising Museum and the Solidarity Museum, but by far the best was The Museum of the History of Polish Jews. This museum is probably the best narrative museum I have ever been too. I often say that the only reason I go to the historical sights is to give me something to do between meals. I love good food, and Poland has a lot of it. Milk bars have been in Poland for a long time (late 19th century). They were government subsidized canteens where workers could get a nutritious and affordable meal. Every time the Polish people found themselves in dire economic straits, bar mleczny (milk bars) flourished. It seems as if the requirement for the middle-aged women who work in the milk bars, besides hard-working efficiency, is that they speak no English. So you point to items you think you’d like to eat, and nod in the affirmative to any clarifying question they ask you in Polish. They you pay the equivalent of about $4 and enjoy your pork knuckle with mustard, beet soups and cabbage roll. Before we left, we were told by a former resident that we’d be eating nothing but pork and cabbage. 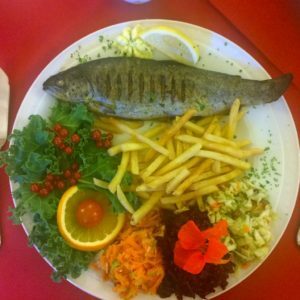 We did eat a lot of traditional polish food, and, yes, there was always pork knuckle, neck, breaded pork steaks, but there was almost always duck and trout on every menu. There was also bigos, a cabbage and meat stew and amazing soups: zurek, which has several kinds of meat in a sour base, and tasty beet soups, served both hot and cold. But we had some incredible non-Polish meals as well, including Italian, Thai and Spanish. These meals were almost always significantly better than what I have eaten in North America. One of my favourite things about my previous trips to Europe is the restaurant patio. The inside of restaurants are empty; the seating that spills out onto streets and squares is full. 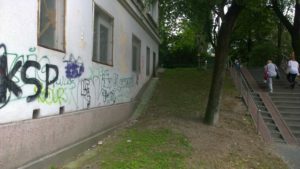 This culture is alive and flourishing in Poland. Each day, we ate at least two meals and made several beverage stops in an outdoor restaurant. If all this sounds good to you, wait till you hear about how much it costs! Poland is very inexpensive. Museums cost about $4. A B&B in the center of all the action is less than $80, and in the country closer to $50. Most of our dinners, a generous main and a beverage, were less than $30, often less than $20, for the two of us. So that’s why I loved traveling in Poland this summer. 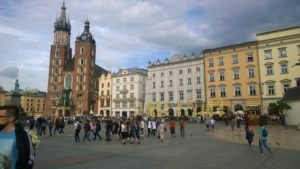 If you are looking for a wonderful European experience, full of history and great food, try Poland.